The Jansen Grand Piano Dollies with Brakes has been a classic for over 50 years. They manufacture the best Grand Piano Dollies available anywhere and only use the highest quality materials, and it is made right here in the USA. 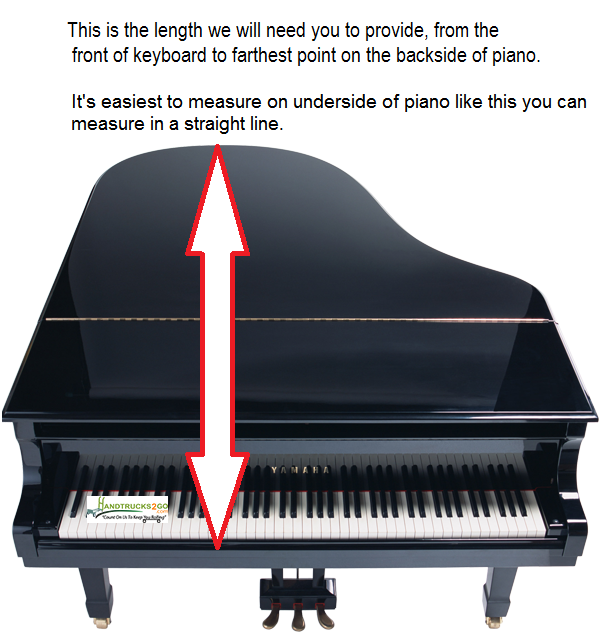 There are three adjustable sizes available, see details below to choose the right one for your piano. Also make sure to fill out in the fields above 1)Piano Brand & Model 2)Length from front of keyboard to farthest point on the backside of piano, this will ensure that you get the right dolly. 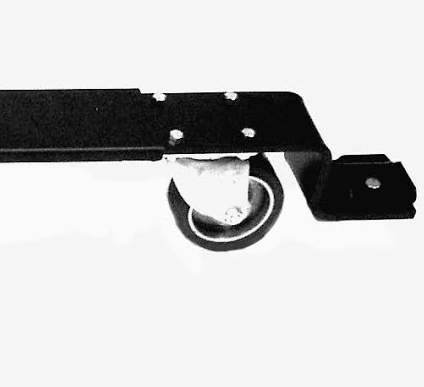 The largest size dolly actually has a submodel intended for pianos with x-large casters (such as the later models of the Steinway), before placing your order we will inform you if you needs that model, in case you ordered the wrong one. Brakes come as an option, and are recommended for any piano but are a must for pianos bigger than 6 feet. (Under 6 feet we recommend getting 2 locking casters and for anything larger 3 breaks are recommended.). The caster is 5” diameter x 2” wide, the leg holder is designed to sit lower than the casters so your piano is only raised 2-1/2" from the floor and you will have no problems using the petals. These grand piano dollies are available in black or brown. Jansen-6544 - Large - For Concert Grand Pianos 7' 7" to 9’ (91" - 108") that currently have casters with diameters up to 2"
Jansen-6544R - For Concert Grand Pianos 7' 7" to 9’ (91" - 108") that currently have casters with diameters up to 4"
Please Note: The 6544 and 6544R need the 3 brake option because of the extra large size. If you are not sure which one you need please contact one of out friendly reps who will be glad to help you. Have a different type of piano? 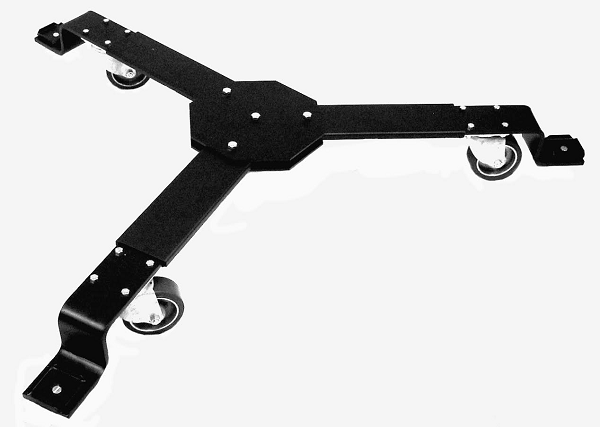 Check out our Upright Piano Dollies here. This dolly came with great instructions and went together quickly and easily. It looks great. Advantages: Shipped in multiple boxes so I could lift each box of parts. Disadvantages: Wish it had Black headed hardware for a complete black look. The shipment came in pretty fast. Piano movers came in install the dolly. The movers knew what to do. Everything worked great. Now it is in our church sanctuary. Advantages: Its brown color goes very well with our sanctuary and piano color. I was very satisfied with the Baby Grand Piano Dolly. Me not knowing much about Piano Dollies your man Hal was very helpful with assisting me with the correct one to purchase ! Dolly was delivered earlier than expected & was exactly what was ordered. Advantages: There was some confusion as to what size dolly I needed so I received a phone call from the supplier to make sure that they shipped the right product. This was greatly appreciated as I didn't want to have to return it. The dolly was very high quality, especially the wheels. It came in only a few days. Great care was taken by the company to make sure I ordered the correct dolly. Product was as advertised. No issues with order or deliver. Likely order another piano dolly in the near future. Easy to use. Extremely helpful and friendly staff. Highly recommend. Worked perfectly. We have just moved into a new theater space and needed a way to move around a very heavy, 100 year old grand piano. This dolly works great, is very solid and very durable. Advantages: Easy to assemble and set up. Very heavy, sturdy. Goes together well. Adjustable. We put a 6' 9" Seiler Concert Grand on it. Expensive, but probably worth the cost. Everything from correspondence to receiving the product went extremely well. Product is very sturdy and well worth the money. Very happy with the turnout. We ordered the grand piano dolly and love it. It was easy to assemble and the 5" wheels make the piano sooo easy to move. Very sturdy. I recommend it highly. The only choice for a professional quality piano dolly. Why risk your expensive instrument on something less? Advantages: Very heavy duty. Great quality hardware included - not cheap stuff. It was a very simple assembly and setup.